The above info came from Angelica Milligan, and was edited by yours truly (contact me). 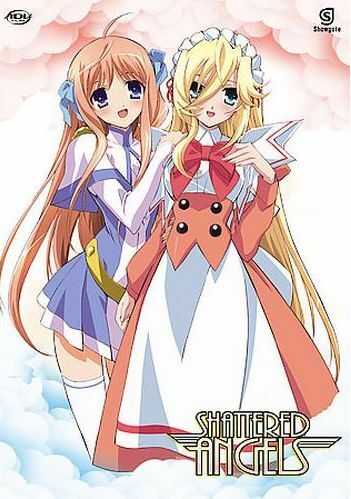 Shattered Angels is about the life of Kuu Shiratori who is seemingly a normal high school girl who enjoys school life in the large city of Academia. Kuu has recently been having a recurring dream where a prince meets her and requests to take her away. One day, while all the students are getting ready for class, the prince whom she has met several times in her dreams appears. The prince, whose name is Kyoshiro Ayanokoji, requests of her just as he had done in Kuu's dreams, "Let's go, together...."
The above description came from Angelica Milligan, and was edited by yours truly (contact me).